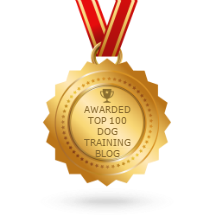 Does positive only Dog Training work? Does ‘Positive Only’ Dog Training Work? Another weekend and again I have had to help several families whose dogs have previously undergone positive only based dog training. On every occasion this approach has proven to have been either detrimental or at best totally ineffective. This unfortunately happens week after week and while it is great for business, it is unfair on the families who have often spent a lot of money and time only to be disempowered by questionable ( however well meaning) dog training or behavioural advice from a supposed expert in their field. An 18mnth correspondence course and lots of treats and scientific terms does not make you a credible dog trainer or behaviourist. It takes many years of trying many different approaches before you can really understand dog behaviour and how to deal with each individual case. On many occasions an owner will tell me that they knew it didn’t feel right when they heard the training advice but persevered anyway. Please trust your gut feeling when you hear or read any advice about your dog. If it doesn’t feel right its because its not for you. Your gut feeling or intuition is much wiser than your head, trust it. On Friday I was called to help Mary-Anne and her 18mnth female kelpie. She had that morning been told by another dog training expert, after 20 minutes, that her dog was untrainable and because she had already signed a training contract, was not offered a refund. I can honestly say that in my 25 years as a dog trainer I have not met a dog that I would class as “untrainable”. If you can’t train a dog, it does not mean it is untrainable. It means your dog training methods don’t work on this dog. Mary-Anne’s dog was a pleasure to train and responded to me and the family immediately. We have video and pictures of this dog walking nicely, staying happily on its bed, and being calm and respecting boundaries in the house. Because a dog does not respond to treats does not make it untrainable. You just need to find another way to connect. Yesterday I attended Michell’s home to help her with her dog aggressive, female Llasa Apso. Michell had persevered for 18mnths with no improvement with the dog training techniques suggested to her by a positive only dog trainer. She was unable to approach any other dog and was told to cross the road and offer treats. Within no more than ten minutes we were walking calmly past many dogs on the beach and we introduced her to several dogs without incident. All I did was connect energetically and gain its confidence. Treats, baby talk and crossing the road will never help a dog overcome its anxiety and instinctive behaviour. It needs YOU to be calm and centred, not weak. How can it trust you when you avoid problem situations. You must focus on what you want to create, not what you don’t want. The week before I helped a family whose 10mnth Border Collie was extremely anxious and would not leave the home on a leash. It had not left the home since they got it 6 mnths ago. They were told to continue to entice the dog with treats and a high pitched voice. This was 6 months ago with no improvement. After spending some time connecting with it, I took the leash started walking and it followed. An anxious dog will not follow you if you are behaving in a weak way. You are projecting weak energy which will make it even more anxious. This is silly dog training which lacks understanding of a dogs needs. Your dog doesn’t trust that it will be safe out their with you. Why would it follow you out? Because this positive only dog training approach and philosophy is flawed and rarely effective (I now believe it is more damaging to a dogs mind than positive) and most of the trainers have little experience, and no other dog training methods to try, they come up with some great excuses to let themselves off the hook. Its too old, you missed puppy classes that’s why, the breed is untrainable, its not de-sexed, this problem can’t be fixed, you have no right to challenge you dog, and the classic, it has a mental disorder and you should just go to your vet put it on medication. I have heard them all. What you will never hear is, I don’t know how to fix this, here is your money back. Try a different approach. As I discovered for myself many years ago a positive only dog training approach does not always create a positive outcome. It is the outcome to your dogs behaviour and mental and emotional wellbeing that should be judged as positive or negative. Nature knows how to keep a mind in balance, not human science. Nature challenges weak, unstable and anxious energy not fosters it. That’s how it keeps itself in balance. We should always observe and respect nature. Just like children, dogs need both limits and to be calmly challenged, for their mental and emotional stability. Remember we are responsible for our dogs mental and emotional well being. We are required to guide and lead them effectively.